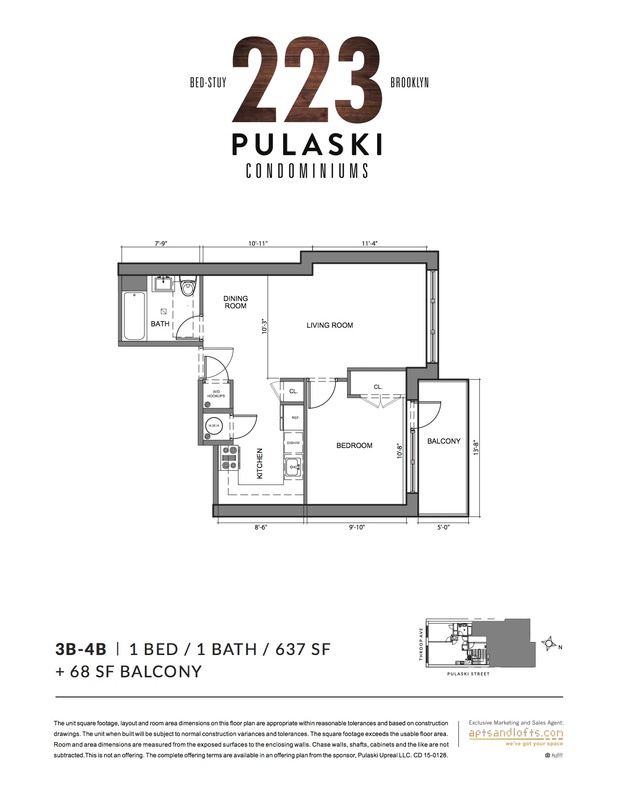 Move right in to 223 Pulaski for luxe living in a storied New York City neighborhood. 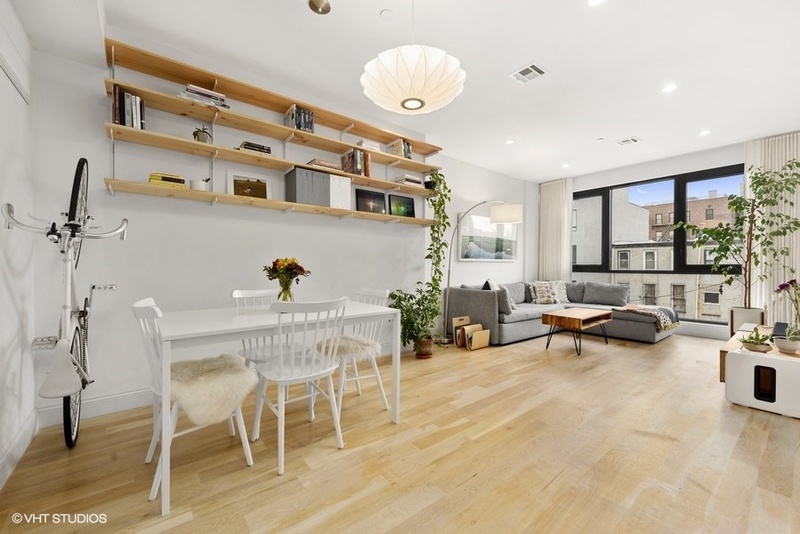 No detail is spared, nor is a square foot wasted in this bright, spacious, turnkey apartment. The fantastic floorplan features a gracious living room that easily fits a separate dining room area, perfect for entertaining. An oversize bedroom also accommodates a king bed and more, and opens onto a huge private balcony. 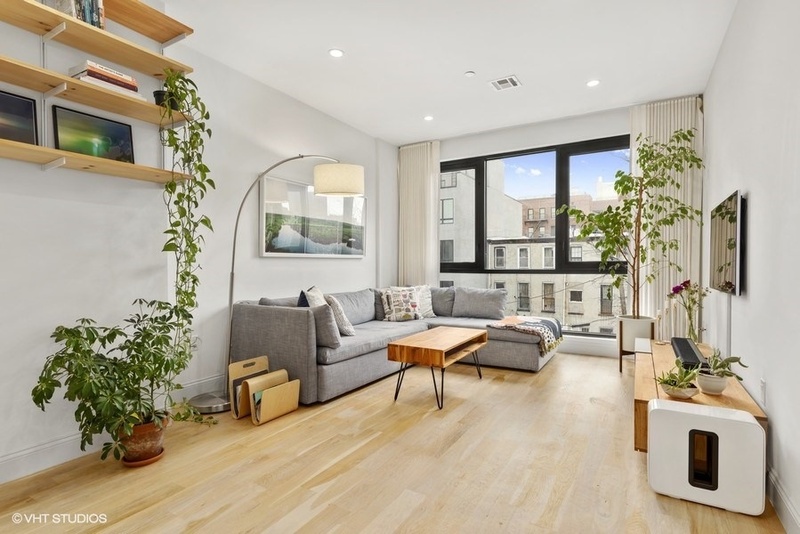 Floor-to-ceiling windows in every room drench the apartment in sunlight, and white oak hardwood flooring can be found throughout. 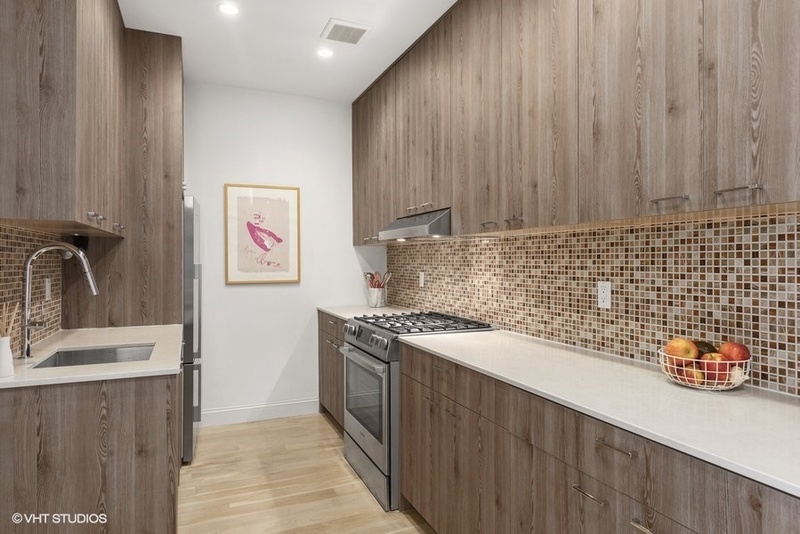 The kitchen, fit for a chef, features brand-new stainless-steel appliances by Fisher & Paykel and Bosch as well as beautiful ceiling height Ash paneled cabinetry and Caesarstone countertops. 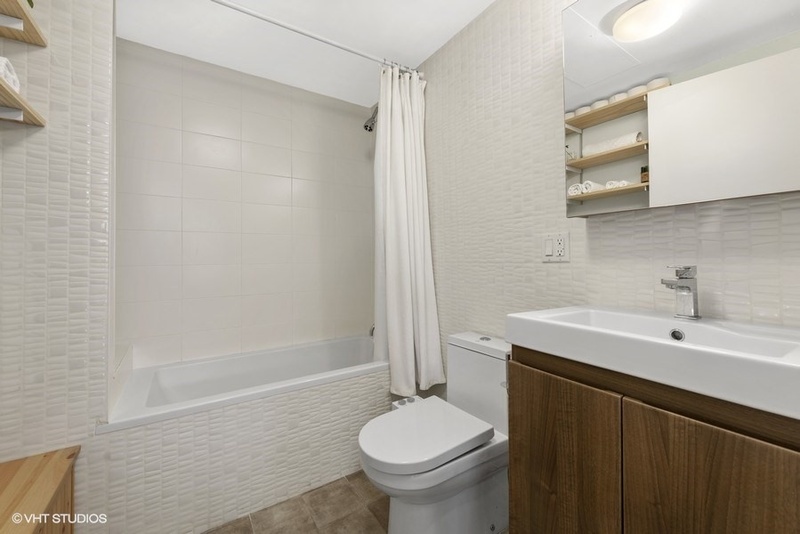 The spa-like bathroom boasts Speakerman showerheads and deep-soaking bathtubs. 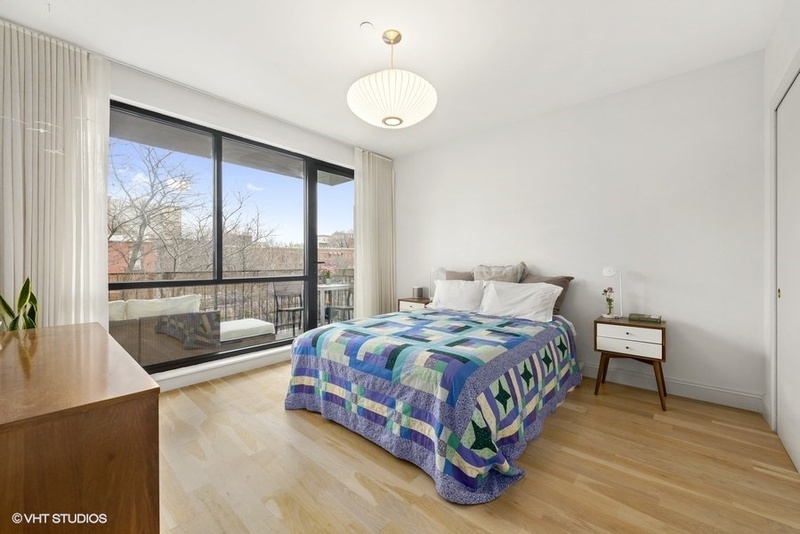 A washer/dryer hook-up, audio/video intercom and Nest-controlled central heating and cooling system, as well as Lutron dimmers, Elfa and Rakks shelving, and custom Shade Store floor-to-ceiling curtains round out the features of this terrific apartment. 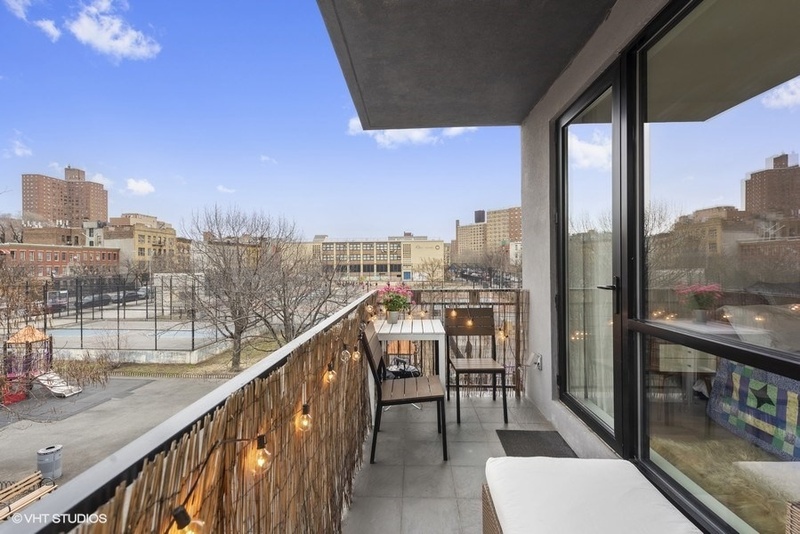 Built just two years ago, 223 Pulaski is a gorgeous boutique condo development in the heart of Bedford-Stuyvesant. Residents of this historic neighborhood enjoy proximity to beautiful green spaces like Herbert Von King Park and Pulaski Playground and Track, restaurants for food enthusiasts such as Hart’s and Peaches Hothouse, as well as Burly Coffee, Arepera Guacuco and Kleinberg’s, and a quick commute to Manhattan via the Myrtle-Willoughby G and Myrtle Avenue J/M/Z subway lines.